Gareth loves pasta, so to celebrate his birthday yesterday I made him this yummy pasta dish. 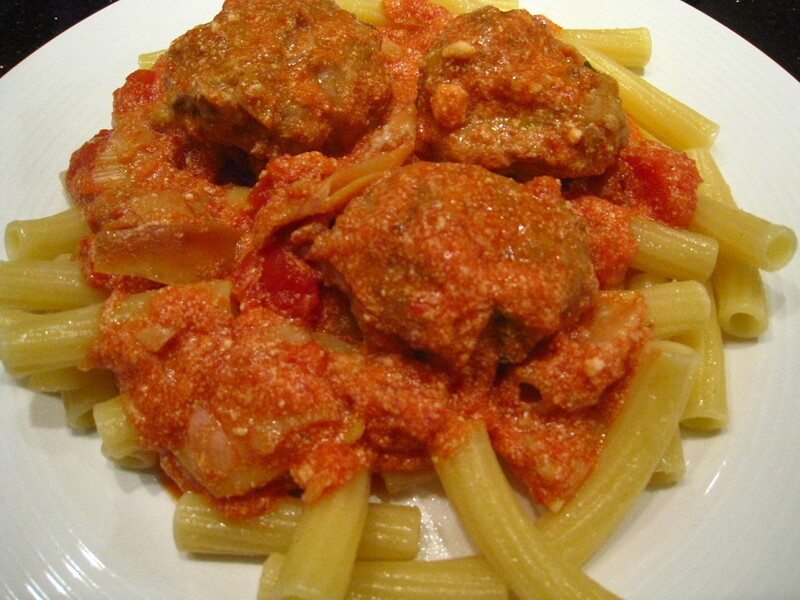 The pasta is flavorful and refreshing and the turkey meatballs compliment it nicely. Serves between 2-5 people, depending on how hungry you are. Turkey Meatballs: Put the ground turkey into a large mixing bowl and add corn meal, parmesan, mustard, egg beaters, hot sauce, basil and a generous sprinkling of garlic salt. Mix all of the ingredients together and then mold the meat into small to medium-sized balls using the palms of your hands. Put the meat balls onto a non-stick baking sheet in neat rows with about 1 inch in between in one. 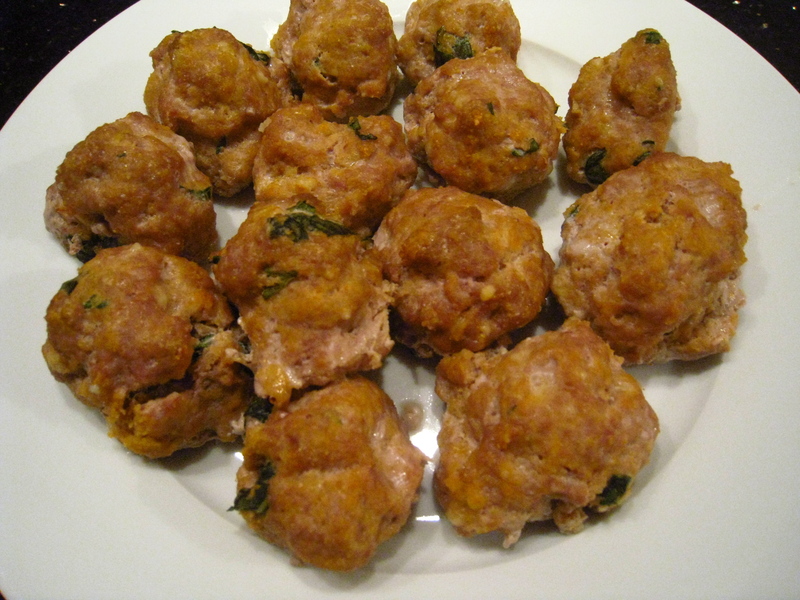 Heat the oven to 375 degrees and cook the meatballs for approximately 25 minutes or until they browned. Ricotta, Tomato, & Artichoke Sauce: In a large sauce pan, heat 1 tbsp of olive oil on medium heat. When olive oil is heated, add in the garlic and the diced shallot. Sautee until the shallots turn a translucent color. Add the artichokes and continue to sautee. After about 5 minutes, add a splash of red wine to de-glaze the pan and then add in the crushed and diced tomatoes and allow the sauce to simmer on a low heat. Sprinkle in a dash of garlic salt, a dash of red pepper flakes and the ricotta cheese. 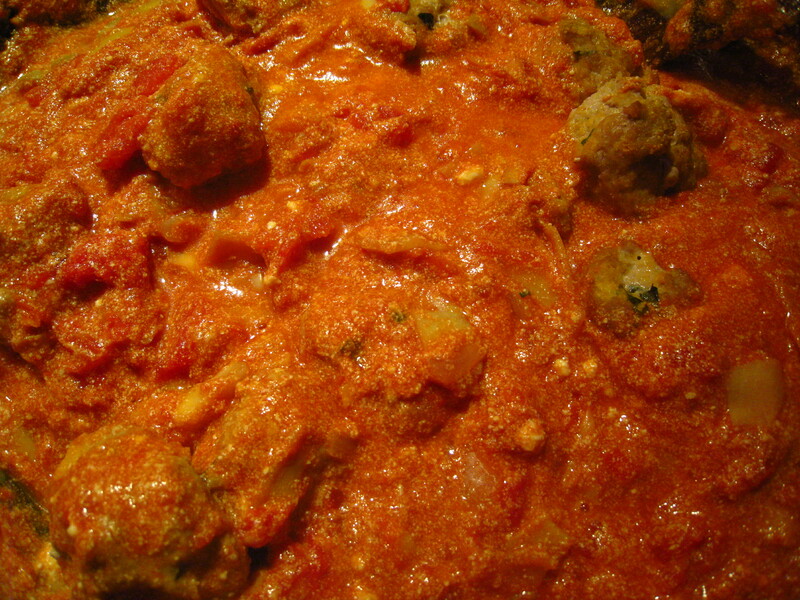 Put the cooked meatballs into the sause and continue to simmer. While the sauce and meatballs are simmering, cook your rigatoni pasta “al dente” per the instruction on the pasta package (each pasta will be different.) After your pasta is cooked, drain the pasta and shake out all excess water. You can then plate the pasta and spoon on the sauce and meatballs. Enjoy!